For more than 120 million Americans, missing teeth are a daily obstacle they have to overcome, and many of them are able to do it with the help of a denture. At Island Coast Dentistry, Dr. Skupny and our team provide multiple kinds of dentures that are able to reverse any degree of tooth loss. Using a tried and true process involving the best labs and most advanced materials, we’re able to help anyone who comes to see us reclaim their complete smile again. 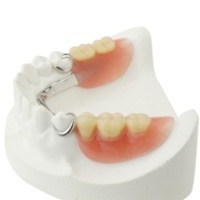 Partial Dentures: These are suited for patients who still have some remaining teeth. Using prosthetic teeth affixed to a gum-colored base, partial dentures fit seamlessly into the mouth like the missing piece of a puzzle to fill in the gaps. They are usually held in place using small metal clasps that attach to neighboring teeth. Full Dentures: This is probably the kind that most people imagine when they think of dentures. They’re able to replace an entire row of missing teeth, and they simply sit right on top of the gums using natural suction/denture adhesive. 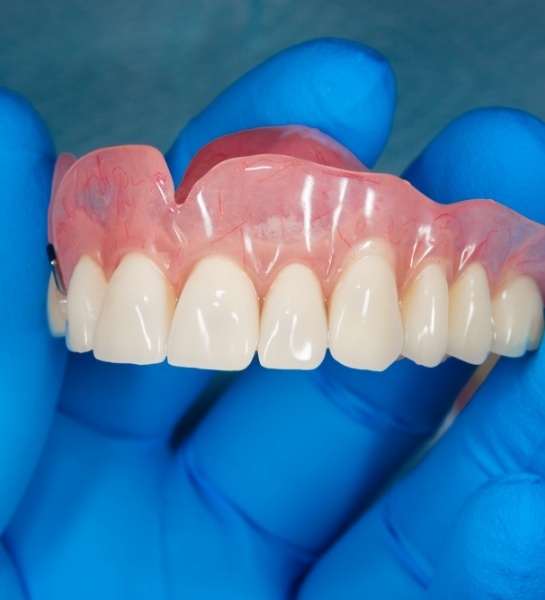 Implant-Retained Dentures: These dentures look just like traditional ones, but the big difference is that they are held in place using multiple dental implants placed into the jawbone. As a result, patients will enjoy an extremely secure fit and a much stronger bite as well. Even better, the dentures will maintain their fit for a very long time because the implant posts will help keep the jawbone nice and full. 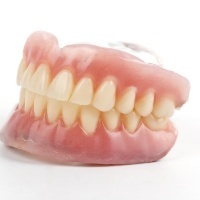 In the past, dentures were bulky, uncomfortable, and easily noticed. That is no longer the case today! Combining both art and science, Dr. Skupny can create a denture that perfectly mimics nature, enabling a patient to smile confidently and chew a wide variety of foods with ease. To schedule a denture consultation today so you can start enjoying your smile again, give us a call.